Since recent time I often get a lot of letters from young beginning artists as well as some of artists who have experience in drawing portraits but never sold their works and they often have to asked, how to sell their drawings? 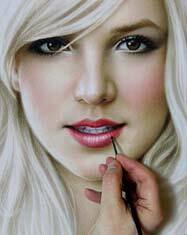 If you are a artist and you want to draw portraits and sell drawings online and you have a question how to sell portraits quickly and efficiently. for the beginning you need to understand how much your work are interesting to people, this is very important. For beginning try to show your picture to the public, for example in social networks, and you will see how many will be positive feedbacks, likes and so on. It is also very important quality of yours work. This a little will help you to understand how people interested in your work. 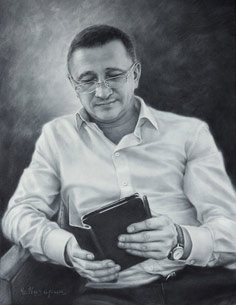 If people do not show any interest in your drawings, you moreover, received critical reviews about likeness of portrait and not good quality of work, then you are only at the start of your develop and need a lot of practice to achieve excellence in drawing a live portrait. Someone will say that it is a difficult task, yes. All right. 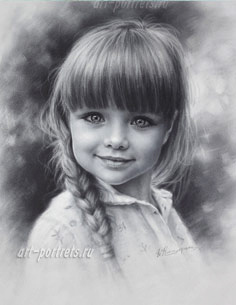 But if you like to draw, and you have a passion to drawing and most necessary is patience, over time you will succeed and you will gradually become getting a lot of orders and sold portraits. 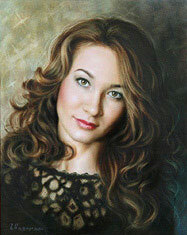 You love to draw portraits from photographs, you good at it, you give your portraits to friends and relatives. respectively, for free, so what is laudable. 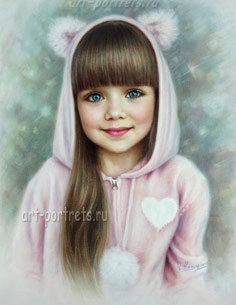 In the soul every artist secretly or openly, dreaming of Selling drawings, for example portraits from photos, it is normal. Why, it is just from photos, because the drawing from life is a very troublesome task, which is usually busy street artists, you must have a strong nervous system, a good mind and be able to communicate well with different people, sometimes not psychologically normal. Believe me, it is not everyone turns out, after working many years as a street artist I've seen a lot. So it's easier to draw portraits from photos in a mini studio or home. 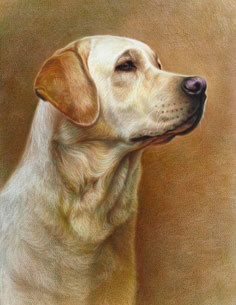 Many artists are asked how sell my drawings?, how to sell portraits online? or how to make money on selling drawings without leaving home?. 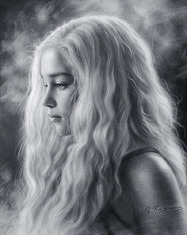 You are very good at drawing black and white portraits in pencil or charcoal, it is certainly good, but never made money on this case and do not know how to sell your portraits. What you need, First you should to photograph all your portraits on your camera, that you has collected at the duration of your creativity. Then to create a Web site and post your work on the Internet. If you are not well with a computer, do not know how to work with the software, that is not able to create a website by yourself, on the internet a lot of proposals for the creation of Web sites. 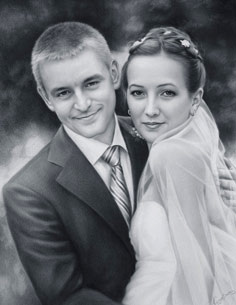 Easy site for portrait artist is not expensive, most importantly to find a good and trusted webmaster, who created for you website and upload your pictures online and promote your site in search engines. But that's not all, most important thing I have not told you yet, read on. On the Internet, a lot of offers of portraitists, that is, it's your colleagues who draw portraits to order and know how to sell portraits. You certainly believe that your work is not worse than their creativity, and you also have the chance selling drawings online. 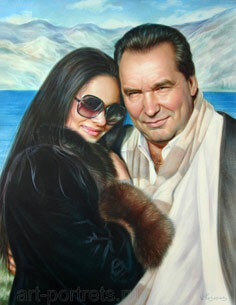 What is needed yet, as I mentioned you and your colleagues in the main draw portraits in pencil or charcoal. Earn Money in drawing these tools possible, but in reality not much. Our task is simple, to earn a very good, much more than earn your colleagues. How to do this, the solution is simple, to draw portraits in a dry brush technique. 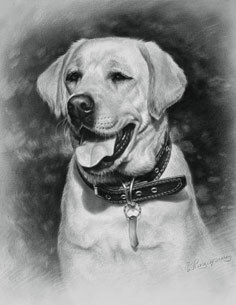 Perhaps in your country, in the city, the region you'll be the first portrait artist who draws it in this beautiful technique of drawing, this means the near future you will have no competitors. 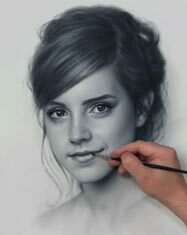 For today it is more advanced technique of drawing portraits in comparison with usual methods, that is, your earnings will be much higher because the demand for it is very high, if compared with the older methods. 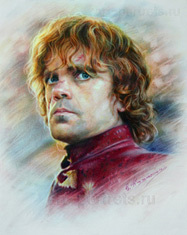 If you have some experience in drawing portraits, you can quickly learn it. Some information about the dry brush you can find on this site. How to earn more by selling portraits? The answer is simple, people often ordering portraits of women. Very rarely people ordering portraits of old women and bearded old-age men with deep wrinkles. such works well-appreciated in In the fine arts, art schools and among the artists themselves, in reality on that you can earn a little, so these works can be displayed on your site in small numbers. Therefore you need to create a good advertising on your site. Draw as many portraits of beautiful girls in dry brush, as you can. There is another method of how to make money by drawing, that is, selling portraits in any corporate parties. The method is also very simple, we know you are good at drawing portraits in pencil and charcoal, in this case it may be useful if you to draw quick sketch from life in 10 minutes each, In some cases, at the request you can to draw by dry brush every for 1 hour at corporate parties. On your site you place information with sample sketches, video and wait for invitations from the organizers of any party, in such cases, you can earn money and also a certain popularity, which will help you in the future.